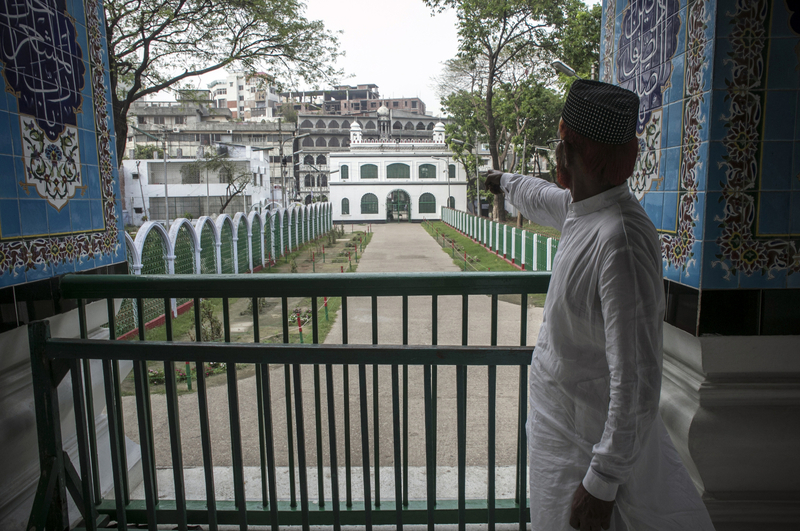 A caretaker points out the spot where bombs went off in 2015 at the Hussaini Dalan Shia shrine in Dhaka, Bangladesh. On October 24th 2015 three bombs were thrown at the Hussaini Dalan Shia shrine during a large gathering, killing one and injuring over 100 more. ISIS claimed responsibility for the attack.